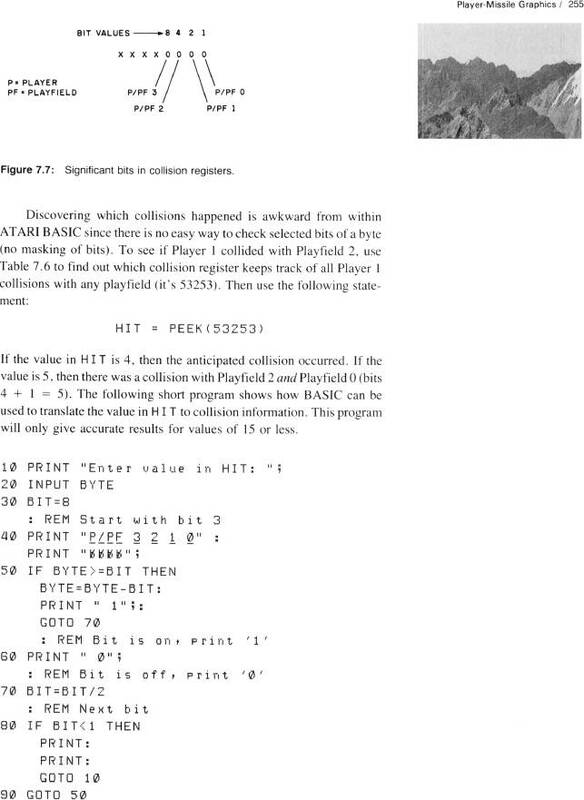 Computer Animation Primer: Figure 7.7, Significant bits in collision registers.. Checking player collisions. Figure 7.7, Significant bits in collision registers.